Not only in music were the Seventies a period of awakening. In the consequence of the revolt of the German student protest movement in 1968 ever more areas of life were put in question. Long hair, bright clothes and the development of a scene with its own lifestyle, taverns, music and debating culture were only surface indications of a social upheaval that was characterized by the Viet Nam War, the protest against the German emergency acts, the beginning anti-nuclear power movement, strikes in different branches of German industry, disqualification from public service for political reasons, as well as reactionary culture fights and ideological spying. Emancipation, participation and the fight against the consumerism of the established social classes prepared the emergence of a broad alternative movement, which only in the middle of the Nineties was rolled over by the egocentricity of the Yuppie and "Pro Secco" scene, and in the meantime to a large extent dissolved. If the music of an era in the review frequently coagulates to its "soundtrack", then this does rather not apply to the music of the Seventies - refrained from commercialized exceptions. The music of this time was part of its culture and a component of its debates and discourses. Segmentation and fragmentation into distinct partial cultures were to a large extent unknown. Writers, painters, actors, journalists, film directors, scientists and musicians were parts of a politically aware scene, whose effects were noticeable in the entire society, from the family-internal fight for the hair length up to the demand for atomic disarmament and the democratization of the working sphere. The music of the Seventies had its sources in Folk, Skiffle, Jazz, Rock'n'Roll, Indian and African music. The dominating instrument was the guitar as a symbol for protest and freedom. Likewise characteristic was the simultaneousness of many style directions. In disk collections of this time Cat Stevens, Donovan and Leonard Cohen stood beside records of Traffic, Yes, Genesis, Zappa, King Crimson, Tony Williams and Miles Davis. By the end of the Sixties and at the beginning of the Seventies almost weekly albums were published that in the review have to be called revolutionary: Jimi Hendrix, Janis Joplin, Cream, Pink Floyd, Led Zeppelin, Free, Collosseum, Jethro Tull, Deep Purple, Gentle Giant, Crosby, Stills & Nash, Neil Young, Grateful Dead, Joni Mitchell, Iron Butterfly, Black Sabbath, Eric Burdon, Van Morrison, Doors and many more who created an up to then completely unknown kind of music. Among their records were hits and mega-sellers, but also subtle and thought out albums that were bought and heard "as a whole". Even if most of the artists and bands mentioned today are classified as "Classic Rock", they nevertheless formed what one can call retrospectively the core and starting point of progressive music. At that time "progressive" had the undisputed connotation - apart from the classification of a musical direction - that the result of the "progress" was open. It was a time, when Hard, Glamour, Country , Blues, Symphonic, Space, Art and Jazz Rock were not yet labels for classification, but facets of one musical direction, Rock, which at that time was only at the beginning of its development to become the global and epoch-making music of a generation going through a time of upheaval. There are still debates and speculations about the origin of Rock Music. Its roots lie in the Blues, the Gospel, the African and Caribbean music, the Rock'n'Roll of the Fifties of course, the Beat Music of the Sixties, the Polka and the European folk song; frequently forgotten to mention are the baroque and early classical period with their polyphony, their "basso continuo" lines and not out-noted passages for the spontaneous and improvised filling in the moment of performance. If it concerns to indicate a certain date as the starting point of the musical form which from the end of the Sixties gradually became the Progressive Rock of the Seventies, the use of the electrical guitar with Bob Dylans appearance at the Newport Folk Festival in 1965 is surely to be particularly emphasized. His goal was, as it is reported by members of the supporting band with this appearance, the connection of the contents of the protest culture of that time with the sound of the Rolling Stones. The electrification of the classical folk oriented protest songs was one of the conditions for the politically aware and explosive yield of the early Rock Music. In Germany the connection of the protest and singer-songwriter culture with the "new" Rock Music was reflected at "The Essener Songtage" in 1968, which brought together international celebrities such as Frank Zappa, Julie Driscoll & Brian Auger, Tim Buckley and the Fugs with German singer-songwriters such as Franz Josef Degenhard, Hannes Wader and Dieter Süverkrüp with bands like Xhol Caravan, Amon Düül and Guru Guru in one festival. Thus not only was the starting signal given for the development of a German singer-songwriter scene, but also for the emergence of German Rock as a musical-political-psychedelic experimentation field, which under the designation "Krautrock", taken over from British journalists, remained a category term until today - outside Germany however far more estimated and more style-forming than in Germany itself. In the years after 1968 in Germany hundreds of Rock Bands came into being; that larger High Schools had three and more School Bands, was no rarity. Some dozens of those bands attained supraregional and partly also international reputation. Due to the absence of a capital in the sense of a cultural center (Berlin was a divided city in those days and the German government resided in Bonn), many regional scenes developed, predominantly in the large cities as in Munich, Cologne, Duesseldorf, Berlin, Hamburg and Hanover, but also in middle-sized towns and regions as in the Rhine-Neckar area. Based on the number of inhabitants, the Rhine-Neckar area was perhaps one of the most vital and most productive concerning the Rock scene in this time. Within the Rhine-Neckar area Mannheim was the musical center. Already before the Second World War Mannheim was a city, which was popular among musicians of all styles of popular music through the times, because they found work there. This continued after the war and was still valid in the Seventies. Additionally favoured by a multiplicity of US clubs during the stationing time of American soldiers in Germany, the Mannheim music scene of the Seventies was characterized by a high degree of internationality and impressive musical experience. If the word of "communards who had bought instruments" applied to many German Rock Bands of that time, then this did not apply to the Mannheim scene. An indication for it is that quite a few of the musicians of the important Rock Bands from Mannheim remained in the music business as musicians, managers, producers or studio owners - and this quite successfully. If one approaches the music of a scene of an epoch, the "first view" offers important evidence. With Nine Days' Wonder, Kin Ping Meh, Twenty Sixty Six and Then, and Tritonus there were four Rock Bands from Mannheim who were supraregionally admitted, that released thirteen "official" albums in the time between 1971 and 1977. The "second view" reveals that the first view gives to recognize only the tip of the iceberg. The musicians of these four bands participated in more than 120 recordings only in the Seventies - customs music, studio work and secondary utilizations in republications quite taken in account. This on the one hand is an indication of the personal creativity of the persons involved, and in addition testifies the solidarity of the musicians among themselves and their radiant effects on the German and the international Rock Music scene. And it is a completely prosaical reference to past possibilities of value adding by Rock Music from Germany: For all these productions studios were booked, covers designed and printed, secretaries typed production plans, aids packed parcels capable of being shipped... For economic reasons the project Rock in Germany would not have had to fail. Why from the country with the world-wide third biggest music market no independent and also economically survivable Rock scene beyond the end of the Seventies came out remains one of the so far unresolved mysteries of recent cultural history. The precursor bands of Nine Days' Wonder and Kin Ping Meh developed almost at the same time in the late middle of the Sixties: The Graves, The Thunderbirds and Take Five were characterized by the transition from the Beat to the Rock music. 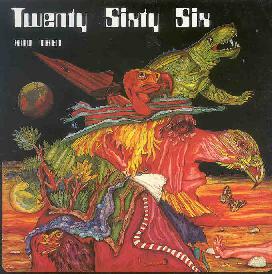 Twenty Sixty Six and Then had their forerunner in the already strongly Rock-oriented Band Mad Fashion and Tritonus in the Art Rock Band Mohn und Gedächtnis ("poppy and memory") named after Paul Celan's poem. None of these bands from Mannheim or their musicians became "world stars", but they surely belong to the core of the German Rock Music of the Seventies and their repertoire to the part of the category that survived. Most albums of these groups were re-releasd as CDs. 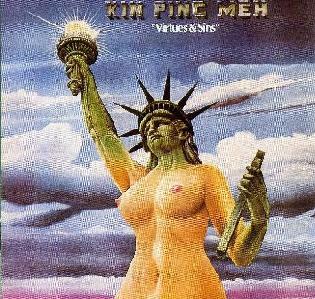 And in the meantime some publications were added: In 1992 appeared a live double album and in 1998 a four CD box of Kin Ping Meh with previously unpublished material from the early days of that band. 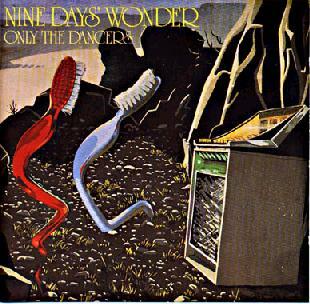 There is a new CD by Nine Days' Wonder released in 2001 with live recordings, demos, album outtakes and material cut in the rehearsing room. The disappeared master tapes of the only LP of Twenty Sixty Six and Then led to new publication in 1994 with longer and more interesting variants in relation to the original material. 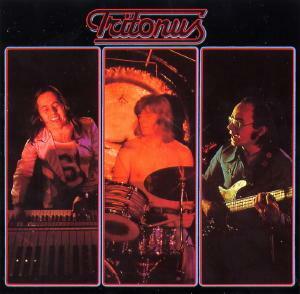 In 1998 both Tritonus albums were re-released on one CD. This article is the translation of an information sheet for visitors of an exhibition presenting the bands mentioned in Ladenburg, Germany in July 2002.